Built by technicians, for technicians. 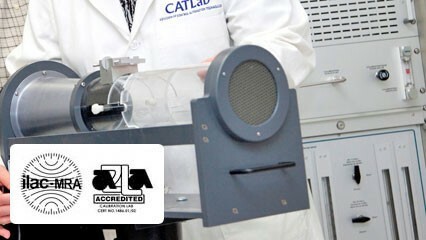 CATLab is a test equipment calibration laboratory serving life science, manufacturing, and defense industries throughout the U.S. and abroad. We offer repair & calibration of precision equipment used by process control professionals; the same equipment used by the technicians, quality specialists, and engineers that built our labs. CATLab™ was built to support field technicians. We understand your challenges. CATLab™ supports equipment used by Instrument, Electrical, Mechanical, and Quality Control Technicians. Our customers are quick to say, "Reliability is Everything". We build great relationships since 1989. Accredited by American Association for Laboratory Accreditation, ISO/IEC 17025:2005; ANSI/NCSL Z540-1-1994. ISNetworld, is designed to meet internal and governmental record keeping and compliance requirements.